How to Adopt a Teacup Pomeranian? Is This the Right Dog for Your Family? So, first thing first, what makes the Teacup Pomeranian special? A common misconception is that Teacup Pomeranians are an utterly distinct breed of dog. But this isn’t true. However, they are merely Pomeranians who have been bred over several generations to produce offspring that are much smaller. Hence the name teacup. This process is referred to as selective breeding. Breeders who want to produce Teacup Pomeranians purposefully select and breed males and females with each other that are smaller than usual until the offspring reach minuscule proportions. 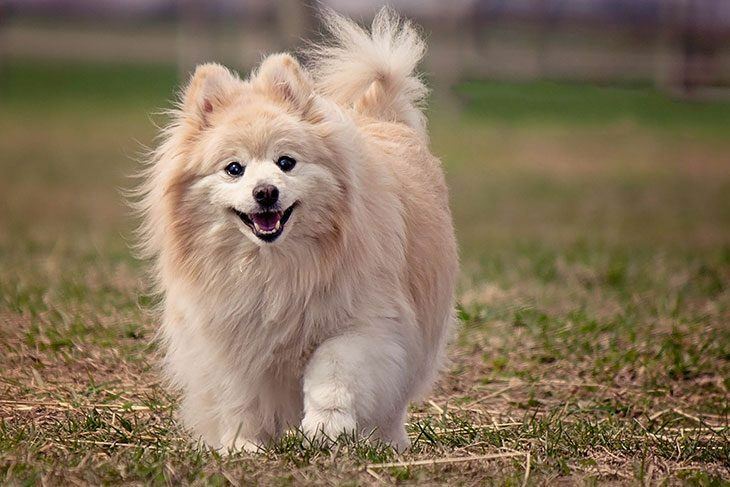 The ancestor of the Pomeranian is a dog that is known as the Spitz or the Wolfspitz. These dogs originated in the arctic region of Iceland. They were a working breed. Pomeranians are named after the historical province of Pomerania which is today located in the Eastern part of Germany and the Northern part of Poland. It is in this region that they began to look like the dogs we know today. The breed became well known and south after during the 17th century. 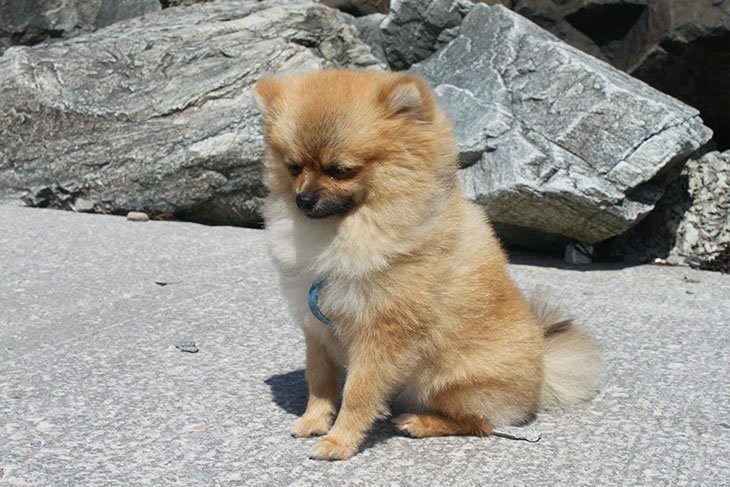 The regular sized Pomeranians are already considered to be a toy breed which means that they are classified as one of the smaller dog breeds along with Chihuahuas and Malteses. Believe it or not, the types of dogs that are popular is influenced by trends. Queen Victoria owned several Pomeranians throughout her lifetime. She had a special love for tiny dogs and even bred them to reduce their size. It is at this point that greater public demand for smaller pups started. At first prospective owners just looked for relatively smaller specimens. However, nowadays breeders specifically try to breed them as little as possible and market these mini pups as Teacup Pomeranians. As they aren’t a separate type of dog, they are very similar to full-sized Pomeranians in most respects. The primary difference between them is in their size and appearance. The following is a breakdown of seven characteristics of Teacup Pomeranians. Although no two dogs ever look alike, Pomeranians have a very distinct and recognizable appearance, and their teacup version resembles their bigger relatives. Their aesthetic is usually the main thing that draws new owners to these pets. If you are looking for a cute dog, this is the ideal choice for you. If you have to compare them to something, it is safe to say that they will remind you of teddy bears. They have long, thick fur which makes them extra fluffy. Teacup Pomeranians can have the same coat colors as regularly sized poms. Unfortunately, their thick coat means that they will shed moderately and that you will have to groom them on a weekly basis. Other noticeable features of these dogs are their perky ears and their bright dark colored eyes. So although, they look quite similar to average sized Pomeranians they are indeed much smaller. As they aren’t recognized as a breed in their own right, there aren’t any regulations for their size, weight or height. Standard Pomeranians weigh between 3 and 7 pounds and are 7 to 12 inches in height. These are the accepted guidelines for the breed by most kennel clubs and organizations. On the other hand, Teacup Pomeranians lie on the lower end of the range and can even fall beneath this range. Teacups can also weigh slightly less than 3 pounds and measure less than 7 inches. However, there are additional possible health risks if your pet falls under this range, so it is often better for their health it is slightly standard. Remember that these dogs are often classified as a mini or Teacup if it weighs less than 5 pounds and is under 11 inches tall but this is still really tiny as dogs go. Teacup Pomeranians share susceptibility to many of the same issues as their standard sized fellows. 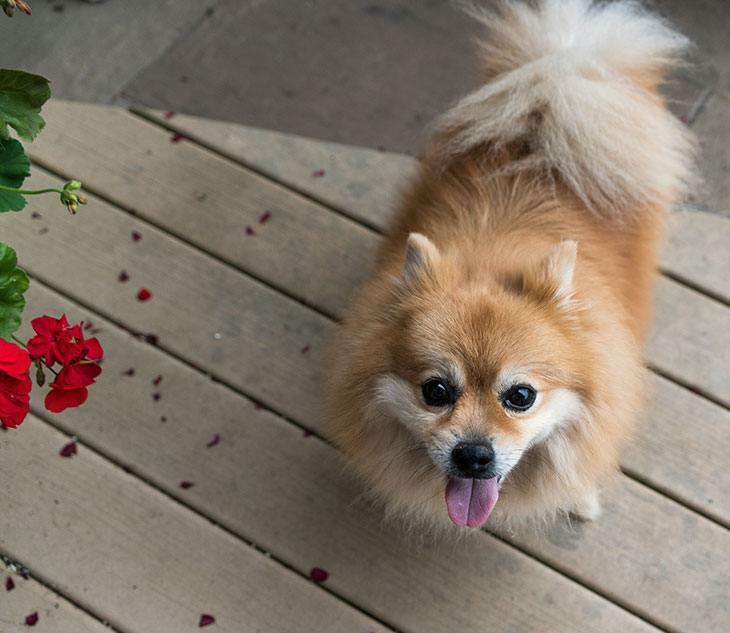 Luckily, Pomeranians are considered to be quite a healthy dog breed, but there are still issues that are more common among them. Teeth and gum disease- They often struggle with periodontal disease which is made more difficult to prevent by the tiny size of their teeth and mouths. Obesity- They are susceptible to picking up weight especially if they are mostly kept indoors. Eye problems like Entropion- Entropion is an inherited condition where the eyelids are folded inward and rub against the eyeball. The condition can damage the eye if it is not addressed and can only be corrected with surgery. 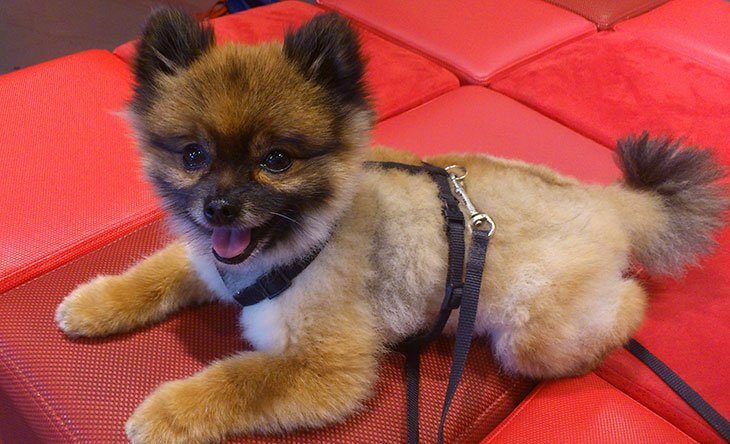 Severe Hair Loss Syndrome or Black Skin disease is excessive and gradual hair loss that is more common in male Pomeranians. Hypoglycemia- Refers to the fact that Teacup Pomeranians can struggle with low blood sugar. You can help to prevent this by feeding them several times a day instead of just once. Two of these problems, dental issues, and obesity can mostly be prevented through proper diet and a bit of extra care and attention. As long as you do not overfeed your pet and provide them with enough exercise they will not become overweight. High-quality food are typically made to promote dental health. You can also help to prevent dental issues by giving chew toys that can help to scrub their teeth clean. 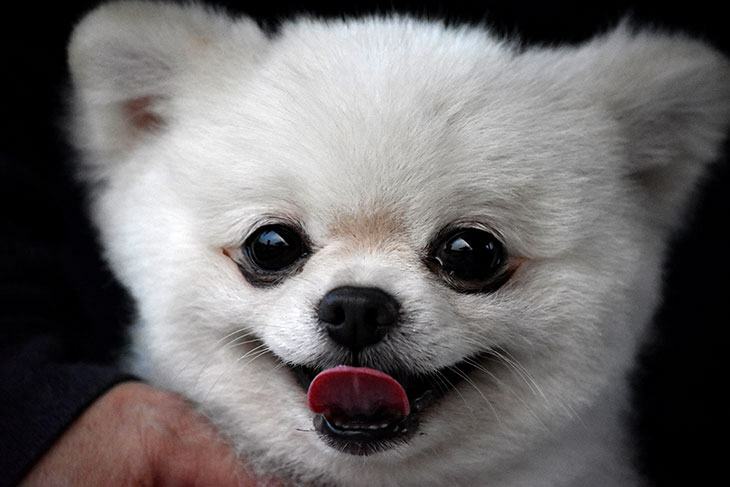 Unfortunately, there are some additional health problems that Teacup Pomeranians can face. It has been reported that they are more likely to suffer from organ failure. Significantly these mini dogs often have much weaker immune systems and their size means that they are more vulnerable to injury. Standard Pomeranians are relatively long-lived for dogs. Their average age is between 12 and 16 years. In general smaller breeds live longer than large breed dogs. As we have noted, Teacup Pomeranians tend to suffer more from various health problems. Sadly this means that their life expectancy seems to be reduced. They often live several years shorter than their counterparts. 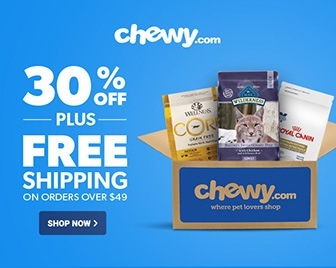 Therefore, it is key to source your pet from reputable breeders who try to avoid irresponsible practices like breeding with dogs that are too small. Although life is unpredictable, remember that how long your pet lives are influenced by their general health. You should feed them a balanced diet, regularly take them to the vet, and treat them gently. Don’t let their size and appearance fool you! These pets aren’t pushovers. They can be quite feisty. They are full of attitude. Many owners love this aspect of their personality. They love how perky and attentive Teacup Pomeranians are. In addition to this, these pups are exceptionally affectionate and loyal towards their owners. They are very protective and believe it, or not this means that they can make pretty good guard dogs. Although this only refers to them barking at intruders or strangers. But, these behavioral traits have a potential downside. If an owner doesn’t manage this, Teacup Pomeranians can become territorial and even jealous. They often don’t get along with other pets and children. Similar or many toy breed dogs, they seem to mistrust children and are not seen as good pets for families with kids.In addition to this, barking too much can become a problem. It is essential that you ensure that training and socializing them a priority. Overall, Pomeranians have moderate energy levels. They enjoy playing and can certainly keep you busy. These dogs love running around and can, therefore, be a lot of fun to be around. You should make sure that they get enough exercise to prevent them from becoming overweight. However, this can be more challenging with Teacup Pomeranians. Sometimes these dogs can be so small and fragile that they can get hurt during activities like going for a run or jog outside. It is better to allow them to play or exercise indoors. You can give your dog toys to play with like throwing balls for them or playing other games with them. Teacup Pomeranians like their standard counterparts are very smart. Their intelligence means that you will be able to train them. They should respond well to obedience training as well as teaching them tricks. As with other dog breeds, you should only use positive reinforcement with them. Positive reinforcement means that you will reward them when they perform the correct action or display the right behavior. You might on occasion hear that some people dislike Pomeranians and believe that they are naughty. But this misbehavior is more often than not a result of inexperienced owners who don’t know how to train their dog. Teacup Pomeranians, as well as regular Pomeranians, are both fashionable and widespread dogs. You will find them throughout the United States of America. Puppies are offered for sale by pet shops and breeders. The average price for a Teacup Pomeranian is $600 to $1500. The exact cost will depend on the breeder and the puppies’ lineage. As has been mentioned, it can be detrimental to your pet’s health if they weigh less than 3 pounds as an adult. Therefore, you should be cautious of breeders who market their puppies as weighing less than this. Something else that you should look out for is that they aren’t selling puppies that are younger than eight weeks and that they have been for a veterinary check. Keep in mind, that there are always dogs in shelters that are looking for a loving home. Unfortunately, you will undoubtedly find Teacup Pomeranians among these. Teacup Pomeranians are a unique dog breed. Their size and personality make them stand out from other dogs. But it also means that they are higher maintenance than many other pets. You should remember that because they are so tiny, they are quite delicate and you should handle them with care. These are not a rough and tumble type of dog and can get hurt easily and more severely than other dogs. However, they are a good choice if you are looking for a lap dog or an indoor dog that you are prepared to pamper. Did you enjoy reading about Teacup Pomeranians? Tell us in the comments and share the article.